"The Glimmer of Salt Crystals"
Nestled in the Andes, Salar de Uyuni, also known as Salar de Tunupa is the largest salt flat in the world, covering an area of 10 million square meters (107,639,104 square feet). This geological marvel dates back to approximately 25,000 years ago and was formed by evaporation of lakes that once covered the entire surface. Geometric formations of salt crystals stretch for miles and shimmer under the sun's glowing rays. The highly reflective surface is especially stunning in the rainy season, when the entire surface is covered by a film of water, turning the landscape into a giant mirror reflecting the clouds and blue sky. In dry months, the salt flats crack and create unique patterns that reflect the deep blue of the starry night. 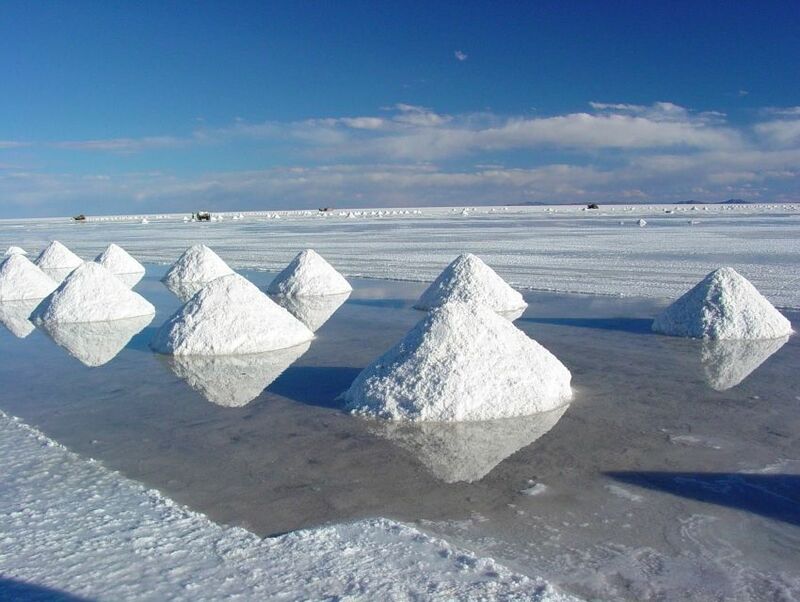 A natural landscape that evokes wonder, the Salar de Uyuni is the Altiplano region's crowning jewel.